Flat and National Hunt horses in training. Racehorse ownership and partnership enquiries welcome. A unique and caring approach to training. Located in beautiful countryside near Wantage in Oxfordshire, Heather Main's Kingston Common Farm offers a calm, relaxed and self-contained environment for training racehorses. Through careful selection of pedigree, physique and temperament, Heather and James find the true athletes who with nurturing will become winners. 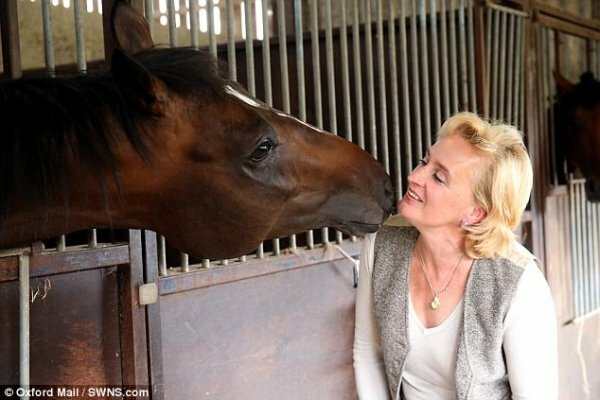 Heather Main provides individual attention for both horse and owner - get in touch to find out more. Music written and performed by Heather Main. 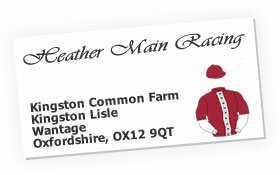 Copyright © Heather Main Racing. All rights reserved. Video footage by Luke Harvey. Website design by Stable IT.